I wanted to agree with your comments about the five boxers in Beijing, and the five in the RTE studio (let's not forget Katie Taylor) They are a credit to their sport. Michael Carruth for his sheer decency, Bernard Dunne for enthusiasm and blind faith, Mick Dowling for his insightful analysis, and Andy Lee for his charisma. I hope they go from strength to strength...though admittedly, Mick Dowling is probably passed it at this stage. ..he's still better than my pals from athletics, who all seem to have an agenda, although Sonia was a revelation and grew into the job. Gary O'Toole on swimming (a sport I have no interest in) was also excellent. What will we do with our time now?? The "I hope they go from strength to strength" comment was with regard to their boxing careers, and that was in respect of Bernard, Andy and Katie (a certain gold medallist if womens boxing is included as expected in 2012). I think Mick Dowling and Michael Carruth have years of analysis ahead of them. 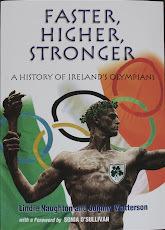 Mick Dowling has been great on RTE for years, but the others, like Sonia, grew into the job as the Olympics went on. I've been reading this morning that Ken Egan is uncertain about his future, and may be lured into the professional sport. What a pity if that becomes necessary for him. As I watched the enthusiasm of Andy Lee for his amateur colleagues, I couldn't help thinking what a shame that he, turned pro after Athens. I believe that he has serious prospects as a professional, but at 24 years of age, he could have been a great prospect for Ireland in Beijing. I know nothing about swimming either, but Gary O'Toole is a superb analyst too. What do we do now that it's all over? 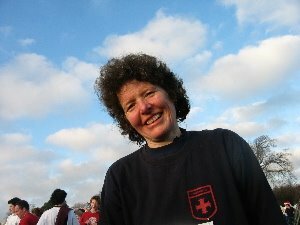 I may get some sleep for a start, and then start training for London in 2012. I'm considering taking up BMX cycling...it looks good fun, and not that hard, as a lot of its downhill, and I used to do something like it as a child around the fields at home on my younger sisters bike! Good luck with the BMX - don't know where you live but they have a dirt track in St Ann's Park, Raheny where the falls wouldn't hurt too much! No-one told me about the falls...I may have to re-think my plans to become an Irish Olympian!